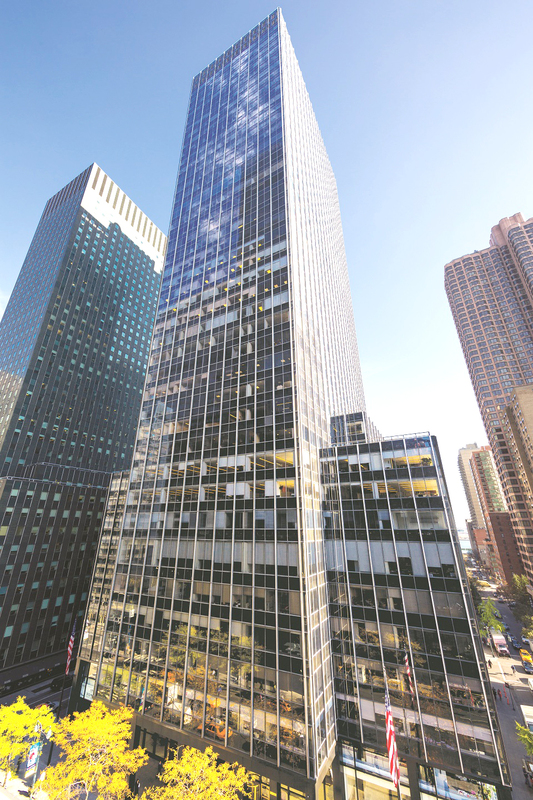 Wellspring, a private equity firm founded in 1995, will relocate from 390 Park Avenue to the top floor of the 44-story tower this year. “With abundant natural light and striking panoramic views, the penthouse at 605 Third Avenue is one of the city’s most impressive and inspiring workspaces,” said Fisher Brothers partner Winston Fisher. Since completing a $25 million capital improvement program in early 2016, Fisher Brothers has secured nearly 415,000 s/f of leases ath the tower, which is now 96 percent leased. Fisher Brothers also partnered with Convene, the office services provider, to create a tenant amenity and conference center at 605 Third Avenue. Located on the seventh floor, the space will be operated by Convene’s hospitality professionals and feature a variety of meeting areas, a café, outdoor terraces and lounge seating. Wellspring Capital Management was represented in the transaction by Michael Geoghegan and Paul Stimpfle of CBRE. Fisher Brothers was represented in-house by Marc Packman and Clark Briffel, as well as by Bruce Mosler, Louis D’Avanzo, Andrew Ross, Michael Baraldi, and Maria Travlos of Cushman & Wakefield.